The Equality Commission has published details of three legal cases arising from the refusal of schools to accept a disabled child as a pupil, despite recommendations by the Education Authority. Wallace High School in Lisburn, Lislagan Primary School in Ballymoney and St Brigid’s College in Derry all agreed settlements with the families of three prospective pupils after the Equality Commission supported the three individual cases being brought in the Special Educational Needs and Disability Tribunal. 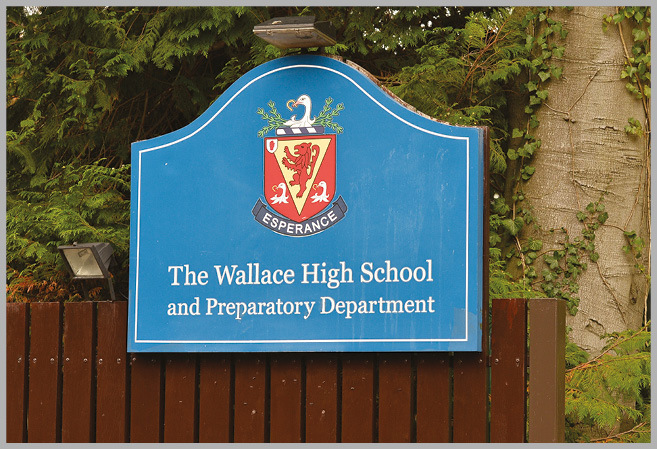 In each case, the schools issued an apology to the parents and children, with both Wallace High school and St Brigid’s College acknowledging that the manner in which they dealt with the application for a place in their school fell below the standard required in respect of compliance with disability discrimination law. In November last year, agendaNi issue 79 highlighted the case of Josh Clarke, an electric wheelchair user with type two spinal muscular atrophy, who comfortably attended mainstream primary school and who had identified Wallace High School as an ideal post-primary destination. A Special Educational Review assessed that Josh should attend grammar school and the then South Eastern Education and Library Board (SEELB), now Education Authority, informed Wallace that the school had been selected by Josh. However, the family learned through SEELB that the school would not be accepting Josh and had threatened SEELB with a judicial review to contest the recommendation. After finding Josh a suitable school, the family brought the case to the Equality Commission, which eventually resulted in a non-financial settlement and the case being withdrawn from the Special Educational Needs and Disability Tribunal. It has now emerged that two similar cases were brought by the Equality Commission against schools in Northern Ireland. At Lislagan Primary School, the parents of a child with spina bifida and hydrocephalus and a mild to moderate learning disability were given the indication that their child would not be welcome at the school. At St Brigid’s College, a child with an autistic spectrum disorder was recommended for the school by an Education Authority statement but the school stated that “it was not in a position to provide post-primary education” for him. This position was maintained despite extensive communication by the Education Authority who suggested how the child’s needs could be accommodated and detailed the availability of a classroom assistant, as well as other support through the EA’s Behaviour Support Team. In each of the cases the child was placed in another school by their families. In the settlements the schools agreed to work with the Equality Commission and to train their staff to make sure their procedures and policies conform to the law. The Commission has already reviewed their Special Educational Needs and Inclusion Policies with Wallace High School and Lislagan Primary School and both schools have made amendments to these in accordance with recommendations. The Commission has also provided the schools with information regarding training available for staff and board members. It is in contact with St Brigid’s College regarding the follow-up on that settlement.